Patients' illness stories have always played an integral role in health care; however, with medical advancements, the focus on disease and pathology has led to an emphasis on evidence-based medicine. This has shifted the focus from a patient-led story to a physician-led story. Evidence-based medicine directs the questions and the questions shape the answers. The questions focus on the pathology rather than the person's relationship with his or her illness. Older adults aged 65 and older in the United States grew from 35 million in 2000 to 49.2 million in 2016.7 Americans aged 65 years and older are projected to increase in population by 105.2% between 2015 and 2060.8 Are we prepared to provide patient-centered care for this population? In spite of the growing need for professional geriatric social workers, only a small percentage of students chooses gerontological social work.9,10 Does ageism affect students' decision whether or not to work in gerontology? What changes should curricula make to address ageism? A few medical schools have developed programs to address older adults experiencing illness. 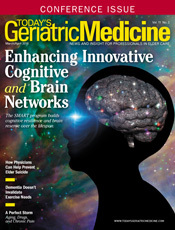 One program in particular is Columbia University's Cooperative Aging Program, an interdisciplinary and interdepartmental approach to geriatric education for medical interns with goals of reducing ageism and increasing an understanding of biopsychosocial aspects of older patients. Human beings are storytellers. We use stories as a vehicle that makes sense of our lived experience. How we make sense of our worlds is by telling stories that align with our values and our beliefs. Narrative practice is concerned with issues of trauma, body, and intersubjectivity. Patients' narratives can provide effective communication, resulting in more effective treatment plans. Charon defines narrative medicine as "clinical practice fortified by knowledge of what to do with stories. "6 Narrative medicine explores the relationship between a person and his or her illness. This relationship is told in story form, with a clear beginning from the onset of the illness. In telling the story, patients relay what is important for them to share. Preferred stories and story lines are expressed. When I was a hospice social worker, storytelling was the starting point of my work. Storytelling revealed what was important to patients in their care as they began to plan for the end of their lives. Anecdotally, most patients shared that they did not want to be a burden to their families. These concerns are important to discuss with family members and the hospice team members to ensure that supports are put into place for the final chapter of a patient's life. The discussions could focus on what is important to him or her rather than his or her feeling like a burden. Older adults are faced with tremendous losses. How can interdisciplinary medical teams respect and recognize the value of autonomy as it relates to older adults writing their final chapter? How can we collaborate with older adults to acknowledge what is important to patients? Patient-centered care requires that we know what patients want from their health care team. Attention: Listening to a patient's narratives and attending to their nonverbal behaviors. Representation: Narrating the results of discussions with a patient and reflectively telling or writing them as a story. Patients' visits begin with their illness stories. Listening to a patient's story is an art and a science. Illness is an individual experience that has generalizability. It requires listening to and understanding the individual's relationship with an illness that provides the physician and the interdisciplinary team the necessary information to develop an individual plan of care. The physician discerns what information will promote quality of care. The interdisciplinary team receives the crucial information that will best serve a patient's needs. In response to this lack of physician narratives, several primary care physicians undertook a project to gather primary care physicians' stories from Asia, Africa, Europe, and North and South America. They instructed physicians to share the one story that changed the way they practice or the way they view medicine, the one story they might tell a significant other or child or grandchild.14 The shared stories and the themes reflected the very essence of life—relationships, life, death, and hope. They shared cultural difference stories that had played a significant role in the physicians' practices and lives. There is benefit from hearing these stories from physicians, as they add the humanistic side of medicine and the transformative nature of narrative medicine. The telling and retelling of physicians' stories begins to change the discourse on collaboration and communication. The health care system is hierarchical, with power differentials between patients and physicians as well as between interdisciplinary team members. Narrative medicine changes these power differentials by developing relationships based on humanity. The Affordable Care Act of the United States has placed an emphasis on patient-centered, empathetic, and collaborative care. This has shifted the focus to whole-person care by care teams, changing the power imbalance. Narrative medicine has continued to grow with this shift from an empirically based perspective to a patient-centered perspective. These changes are challenging us to ask, "What do we want our health care to look like? What and whose goals need to be achieved?" There does not need to be an either/or—a dichotomy between empirically based medicine and narrative medicine. Preferably, the two perspectives used together can become a synergetic perspective benefitting all relationships in the health care system. — Susan McDonald, PhD, LSW, serves as the chair of the social work department at Misericordia University in Dallas, Pennsylvania. Prior to her academic career, she worked as a hospice social worker. She has presented nationally and internationally on health care related topics such as narrative work with newly diagnosed Parkinson's patients and their families. Engaged since 2001 in private practice in Kingston, Pennsylvania, she is certified as a trauma-informed yoga therapist. 1. Charon R. Narrative Medicine: Honoring the Stories of Illness. New York, NY: Oxford University Press; 2006. 2. Kleinman A. The Illness Narratives: Suffering, Healing & the Human Condition. New York, NY: Basic Books; 1988. 3. Frank AW. The Wounded Storyteller: Body, Illness, and Ethics. 2nd ed. Chicago, IL: University of Chicago Press; 2013. 4. Sontag S. Illness as Metaphor and AIDS and Its Metaphors. New York, NY: Picodor USA; 2001. 5. Iglehart J. Narrative matters: binding health policy and personal experience. Health Aff.1999;18(4):6. 6. Charon R. The patient-physician relationship. Narrative medicine: a model for empathy, reflection, profession and trust. JAMA. 2001;286(15):1897-1902. 7. FFF: Older Americans Month: May 2016. US Census Bureau website. https://www.census.gov/newsroom/facts-for-features/2016/cb16-ff08.html. Updated May 27, 2016. 8. 2014 national population projections datasets. US Census Bureau website. https://www.census.gov/data/datasets/2014/demo/popproj/2014-popproj.html. Updated April 6, 2017. 9. Lee EO, Waites CE. Infusing aging content across the curriculum: innovations in baccalaureate social work education. J Soc Work Educ. 2006;42(1):49-66. 10. Maschi T, MacMillan T, Pardasani M, Seon Lee J, Moreno C. Moving stories: evaluation of a BSW oral history project with older adults with diverse immigration histories. Educ Gerontol. 2012;38(4):228-242. 11. DasGupta S, Charon R. Personal illness narratives: using reflective writing to teach empathy. Acad Med. 2004;79(4):351-356. 12. Hart J. The program in narrative medicine: mindful storytelling and listening transform patient care. Alter Complement Ther. 2011;17(6):330-333. 13. Greenhalgh T, Hurwitz B. Why study narrative? In: Greenhalgh T, Hurwitz B, eds. Narrative Based Medicine: Dialogue and Discourse in Clinical Practice. London, UK: BMJ Books; 1998:3-16. 14. Borkan J, Reis S, Medalie J. Narratives in family medicine: tales of transformation, points of breakthrough for family physicians. Fam Syst Health. 2001;19(2):121-134. 15. Lewis BE. Narrative medicine and healthcare reform. J Med Humanit. 2011;32(1):9-20. 16. Engel GL. The need for a new medical model: a challenge for biomedicine. Science. 1977;196(4286):129-136.